Summer time is synonymous with barbecues and gatherings with family and friends, but who wants to grill when it is 100+ degrees outside? 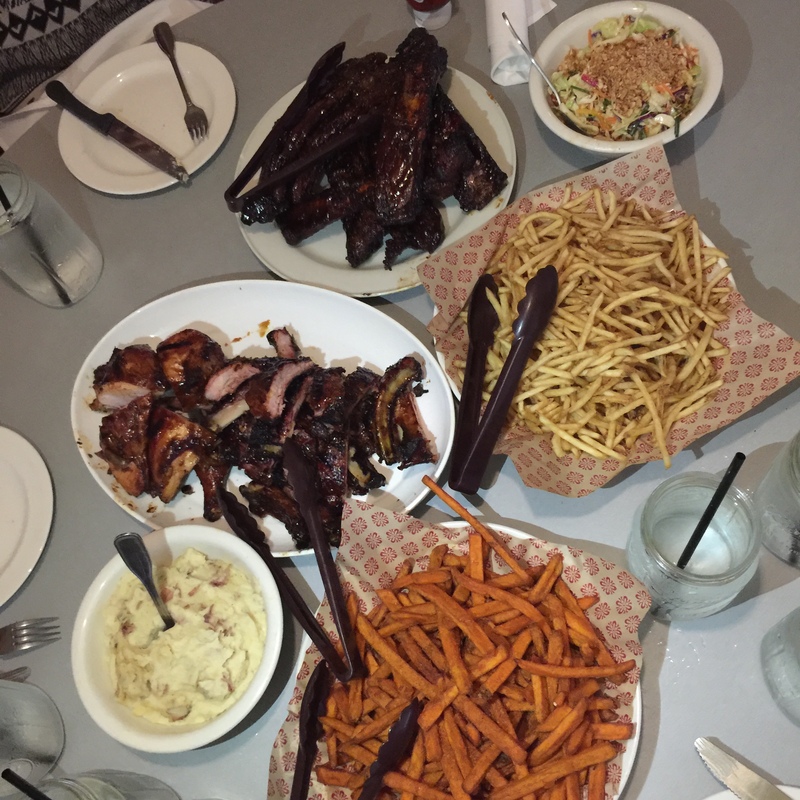 Recently, we went to Lucille’s Smokehouse BBQ (4611 Chino Hills Pkwy, Chino Hills, CA) to enjoy great food with great company, all while escaping the heat. Lucille’s has an exhaustive menu, and with a group of 5, we opted for the Backyard Family Feast, which is made to feed 4. We came hungry, but still had enough left over to feed 2-3! The family menu is a great way to sample everything and to really get into the “backyard barbecue” spirit. (Nothing says summer like a large plate of grilled meats!) Everything leading up to the main events — the homemade biscuits with apple butter, fries, and peanut coleslaw — were delicious. The main events did not disappoint either — the ribs were meaty and tender, and the chicken was juicy. Others surely agree with us, as the wait time can be up to 30 minutes on weekends, so be sure to make reservations! BVO Tip: Go in a group to get the most bang for your buck, and come hungry! About BVO Eats! — Every quarter, eBVO Eats! will feature a restaurant in Chino Hills and highlight a spotlight dish. The purpose is not to provide a comprehensive review, but to introduce our readers to some of our favorite eateries in this wonderful city. We love exploring our local community — what better way of doing this than eating?